Live in Indianapolis, IN connecting to St. Louis server. Main screen ping says 27-30ms most of the time. Checking leaderboard while playing Attrition, ping is 65-90 with spikes to 150. About every 4th or 5th match, in match ping will drop to 35-50ms, for one match. Shootouts feel like I'm 1/4 to 1/2 second behind. Melee's have been sketchy since Live Fire update too. High ping is by far the worst stuff because is very frustrating and basically you can't play at all. Also, there are countless players lagging, just turn on the in-game player list and you will notice what I'm talking about. I've saw players giving me up to 3000ms ping (3 seconds!). Very disappointed to see that Respawn did it again: They just don't care about their player base, they just care about getting awards. This was reported in November 2016, is that hard to take care? 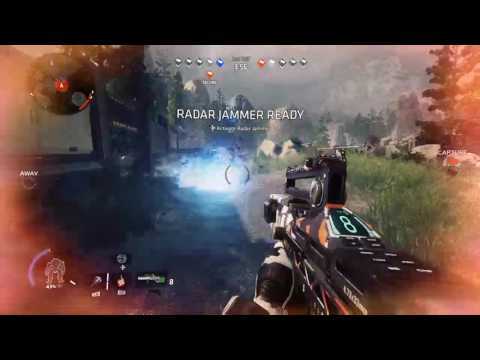 Respawn: allow player-run servers, and mods! Alright, so my situation isn't as horrible as some. But i live in central California, less than 80 miles from the Bay Area/Silicon Valley. And i have fantastic internet. (And yes, I play over ethernet, not WiFi.) I'm used to pings well under 20 in most FPS's, with 30-40 being ”bad” but still usable. First world problems, I know... LOL. So the three nearest data centers to me are two in Oregon and one in Nevada, all of which report about 40 in the lobby. (None in California, nevermind the Bay Area, which is simply ludicrous.) I could just about live with 40 even though it's preposterous that there's no server in my area. But in Ti2, any gamemode, I reliably get a solid 80ms, which is not really acceptable. I realize that doesn't sound so bad to some of you, but given my situation I expect better, and every other FPS delivers that. I guess if everyone were in the same boat it would be fine, but it's clear that a large portion of my opponents are much closer to their data centers because it's routine for me to die and see my location in my assailant's​ killcam just behind where i was in actuality on my screen, and my last action never completed. Often what looks on my screen to be a final, killing shot, or melee hit, or firestar to their face turns out to have not happened at all. Or on my screen I'm perfectly behind cover, but to my opponent I'm out in the wide open. Very frustrating. I must look like such an **** to them, LOL. It's even more frustrating because I love this game, but every time I play it's like a slap in the face. Of course the thing that would fix all that is player-run servers​, instead of the **** matchmaking system that's becoming so trendy now. And on player servers you don't have to wait 3-10 minutes for a new match to start. Plus this, and mods together can extend the longevity and salability of your product. Hey @Jayfresh_Respawn ... I'm sure this is just an oversight. Any update on these issues? Don't you find it strange, that despite what software engineer Jon Shiring ( @RSPNslothy ) said, the lag and lag spike problem have done nothing but escalate since november? So how can you keep ignoring it? You asked for data in this very thread 5½ months ago (see page 1), and then you decided to not pursue the problem anymore? (also in this thread). Do you think that is fair to paying customers? No nerfs! You're Pilots. You adapt. You Improvise. You overcome! I would like to add to this thread. As more patches and content have been added, my ability to play with a group from all over the US has gotten more and more difficult because of ping issues. My solo play has also gotten progressively worse as well. I've noticed it being particularly bad after the Colony update. I play on the New York City server (6ms). Most times I play i get a 13-33 ping. Though other times I get 66-100s. When I play as the host of a group I now get the 66-100s ping times. Though I used to be able to keep the 13-33 pre-Colony. It's gotten worse lately with me seeing animations for hits, phases, and melees only to be killed and on the kill cam none of what I saw happened. A few of my friends are West Coast, but as I said that didn't matter before as long as I was the host. ping used to be 13-33 now is 66-80 with spikes in the 100s. I play on Xbox One through a wired connection. It's made the game unplayable for me. Hope something is done. If it is a question then no. Well, some would say yes but for this game no. Respawn's own fanboy. Veteran of Regen shields war. Advanced flag button witness. Survivvor of Korean rebelion. Since Glitch in the Frontier I've been getting huge lag spikes where a stable connection of 30-60 ms goes to 500->2000 ms. This can last for several games. Today I recorded a clip and noticed that my ping restored when a player on my team left the game, and a new player joined as their replacement. Could the lag just be a NAT problem? I doubt it. My PS4 is in the DMZ. It doesn't get much more open than that. I live in England, playing on PS4. The game connects me to either the Amsterdam or Belgium - GCE 1 or 2 data centres by default, rarely the London one, even though I live in England, seems weird but whatever. The game says i have 20 odd ping and then I get into game and it rests at 50, often going up to 100+ and then I get a server time out disconnect. I haven't played a full game in the past week as I've been kicked from them all as I lag and stutter about. The disconnect nearly always happen when I go into a kill cam or just after when I spawn. To be honest, It's only in the last month that I really go into Titanfall 2 but I am pretty sad I can't play it online anymore. I was really enjoying it. I'm only up to level 8 or so as I'm not very good and don't play to often, perhaps it's because I am bit old haha. Anyway, I really hope you get it sorted. I've spend my morning looking for fixes online but I cannot find out why. I did a speed test and I am getting a stable 30+ mb/s with a 30/40 ping to the speed test server. This data will help the team identify how to fix. Sorry for the issue! 2. Tried using singapore servers from 1 to 3. 3. Lobby is 33 -37 ping. Ingame reaches from 2100 - 3000 ping right at the beginning making it impossible to even move when a match starts. Same problem here since the Glitch updated or maybe the one before. Menu ping to server is 26-29 but in game it spikes constantly and becomes unplayable. ****!!! Are you ever gonna fix this **** issue?! The lag spikes cannot be fixed since it was on the server side. They use cheap google server which cannot handle fast paced fps games. I noticed that Cod Bo3 also added these servers recently and now it has the same lag spikes as tf2. Ingame ping is 60-80 with spikes up 200. Completely unplayable. I have a 50MB connection and at this point the game is almost unplayable, the ping i 60-80 and I got lagspikes of 150-300 all the time... since january basically, but from the last month the game lags ALL the freaking time... really, you have to FIX this!!! The first mistake Respawn made with the server is forcing a search expansion without asking the player first if they want to wait or expand said server search. I'm playing during late-night (Mid-night to 3h-4h am) and due to that, the population around my Data-center (New-York) is relatively low. This makes it so that I rarely join a game from that data-center because of a lack of active player looking for a game. I usually ends up with into a game hooked to the Virgina 1 or 2 center. When I'm in a "real" game hosted on the New York data-center, I get around 15 to a max of 50 ping. Some minor spikes where it jumps to 60-80 for half a sec now and then. When I'm forced into a game hooked to the Virgina 1 or 2 Data-Center, it becomes 80-90 with, many times, a spikes at 100-125 ping. Respawn should add an option that allow the player to force-search within the data-center instead of expanding the search due to a lack of player. Yeah, the waiting time will be longer, but I prefer to wait 3-5 minutes for a game than waiting 1-2 minutes and joining a game where 1/3 of the bullet I shoot passes through those I shoot at and where I simply can't melee anyone from the front because there's a 0.5-1 sec desync in actions recognized by the server due to packet lost/time. What do you prefer? Wait 1-4 more minutes for a game or getting hit by a punch thrown by a opposite player 8m away? I prefer waiting as long as it takes, but I do understand that some might not want to wait that long... which is why this option should be mandatory to fix most issues. What's even worse is ending up in some other Data-Center (server location)... while 8 out of 10 player are were actually selecting YOUR(MY) data-center from the beginning! Really.Bad.Network.Design.There! I join a game... just to notice how half of the player complain about lag (which I also experience) while the other doesn't see anything wrong. 2: What data center are you trying to use that gives you this issue? ; Frankfurt 1 & 2, Amsterdam, Belgium GCE 1 - 3 and London. The corresponding pings that i get between 1 - 10 matches is average 2180. Sometimes i can play a match fully perfectly smooth without most or any lag spikes and ping jump at all. All the other matches are unforgivingly irritating however, with my titan springloading itself out of the pilot seat and spin to the side. Other than huge ping jump, there was no other types of problems that i encounter. Thank you for reading. P.S; I really like this game but the high ping is really killing it for me. When you get the top of the leaderboard or when you are battling other pilots and then the lag comes, My god i almost threw my controller (PS4). I am unable to use single bullet guns like kraber because the lag is that bad, Also chances are incredibly slim to none when coming out from close 1 vs 1 battles. I came across the reddit user tag for one of the network engineers and he just confirmed my theory, and from the sound of it, it does not look good. The problem is not on the server side, the problem is somewhere between the our home routers and the servers. Somewhere along the path, packet loss happens, forcing latency to jump all over the place with sudden spikes. I think TF2 uses Amazon AWS, I used this page to ping AWS servers, http://www.cloudping.info/ . And saw some servers show a huge latency, sometimes more than double that of what it should. The issue from my understanding is there is there are packet loss which happens while we send/receive game data between us and the servers. From the looks of it, without a thorough analysis which might take a lot of time and money, it is beyond Respawn's control.